Based on Condevo’s experience, the “CondCell” set is planned in order to be able to provide an efficient, reliable and high-quality heat exchangers characterized by a single coil for the hydraulic circuit. With few components and adapted to mass production, it is above all innovative in the new flue gas circuit layout. Condevo® aims to develop products to meet all the needs of our customers. We work with them to identify how we can best adapt our new generation of products to suit the particular requirements of their individual boiler designs. The Finite Element Method software we use in product development enables us to reduce the time it takes to bring new products to market. It also allows us to test the new products ‘virtually’ before they are fully designed, giving us the opportunity to optimise every aspect of the product and thus reduce the number of prototypes required to reach the final configuration. 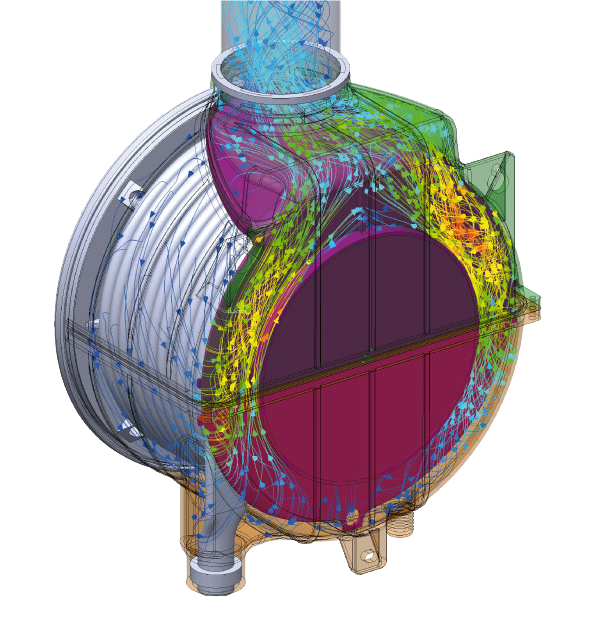 In addition, CFD simulation allows in-depth analysis of every thermo-fluid dynamic aspect from inside the heat exchanger. This would not be possible with conventional methods. Testing, verification of performance and measurements are fundamental to our R&D work. We conform with ever more stringent efficiency standards and requirements relating to the testing of new products, which include a variety of performance criteria and working conditions. 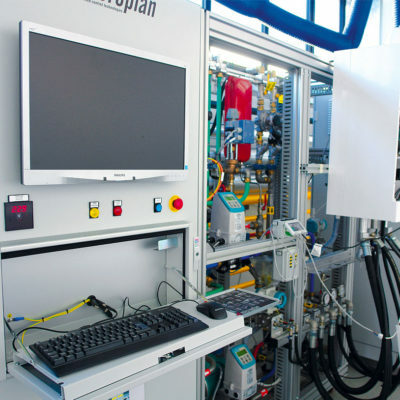 To this end Condevo® is building a completely new test facility where we will be able to both test and certify appliances from 1 – 120KW in accordance with all current and relevant working conditions, such as the European Standard of Ecolabelling and Ecodesign (ErP). The Condevo® laboratories will become a starting point for product development, as well as a meeting and support centre for our customers. 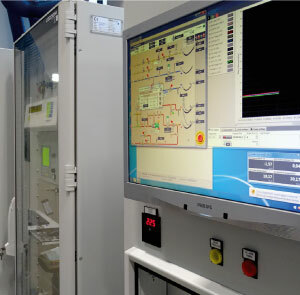 The quality and reliability of the products that will be built into our customers’ boilers are constantly tested and monitored in our Life Cycle Testing Laboratory, where we apply accelerated life test methods in order to speed up the ageing process of our products. The expansion of Condevo’s product range for condensing boilers demanded the addition of 32 new automatic testing stations in our test laboratory to carry out long life tests. The combined output of all Condevo® test stations amounts to more than 2 megawatts. Simple and practical: the Condcell® range is designed to manufacture heat exchangers using highly automated processes. To achieve this objective, our heat exchangers use the minimum number of components which simplifies both production and assembly and allows us to offer very competitive prices to our customers. Same position for all connections, for several boiler outputs. 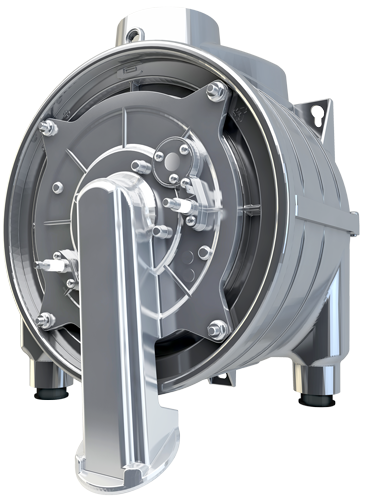 Thanks to a design based on a single coil heat exchanger, which allows front access to the combustion chamber for all service operations. Although there are different heat exchanger coils with different sections for various outputs there is only ever one external dimension. Within compact dimensions, thanks to its innovative layout of the flue gas circuit. Used in sanitary hot water mode, the single flue gas pass allows the nominal heat output to be increased by up to 25% (the secondary heat exchange surfaces cannot extract latent heat during sanitary hot water production). The aluminium structure of the outer casing allows the Condcell® unit to be mounted directly onto the boiler frame, up to an output of 62kW, with no need for fixing brackets or similar parts. The new Condevo® single coil heat exchanger delivers a highly efficient and robust product, which will ensure constant water speeds over a long lifecycle. The spacious and even internal section of the single coil reduces the chance of dirt and debris accumulation, especially in the boiler replacement market. The Internal Modularity concept is used for a range of water outputs. 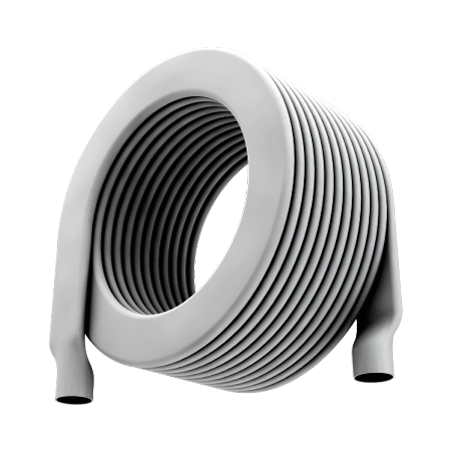 This is achieved by increasing the internal section of the coil whilst retaining identical external dimensions, which results in constant low pressure drop across our range of heat exchangers. The absence of manifolds increases the reliability of the heat exchanger by reducing the number of seals and welding points. 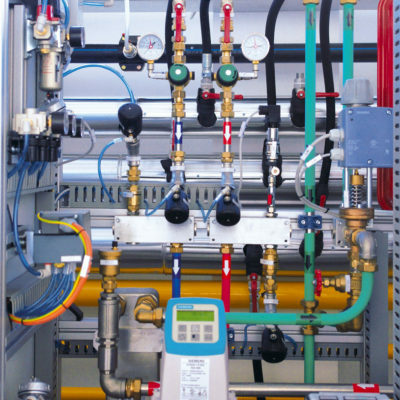 In addition, the ability to access the entire heat exchange chamber from the front facilitates service and maintenance during the boiler’s lifetime. Condcell® brings a new modular concept to the market. 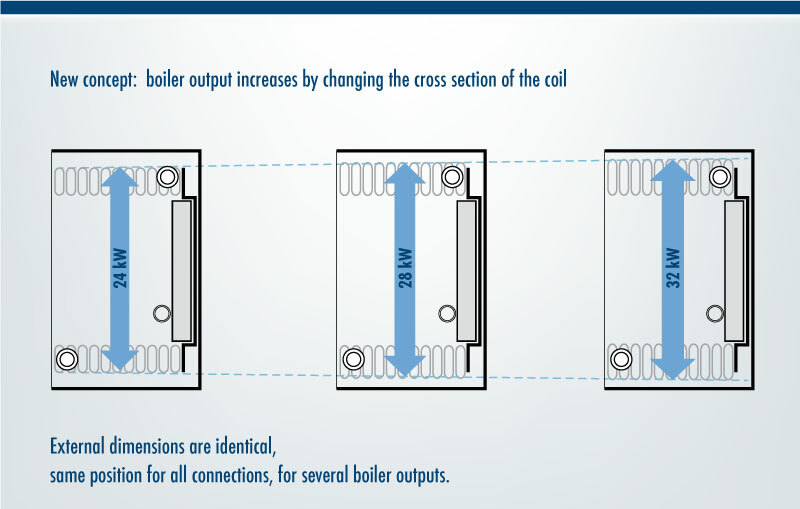 Although the boiler output size varies, the external dimensions of the heat exchanger remain unchanged. This allows for one single internal boiler layout for several different output sizes. 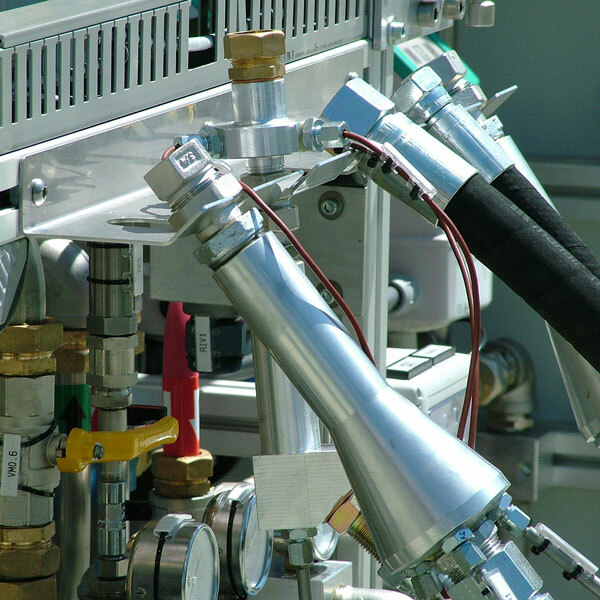 Furthermore, the hydraulic connections are always in the same position, enabling the same pipes to be used in various boiler output sizes. The innovative flue gas circuit layout of the Condcell® heat exchanger maximises efficiency by making use of the entire heat exchange surface available, whilst the single chamber layout allows for a greater combustion chamber volume at reduced dimensions.